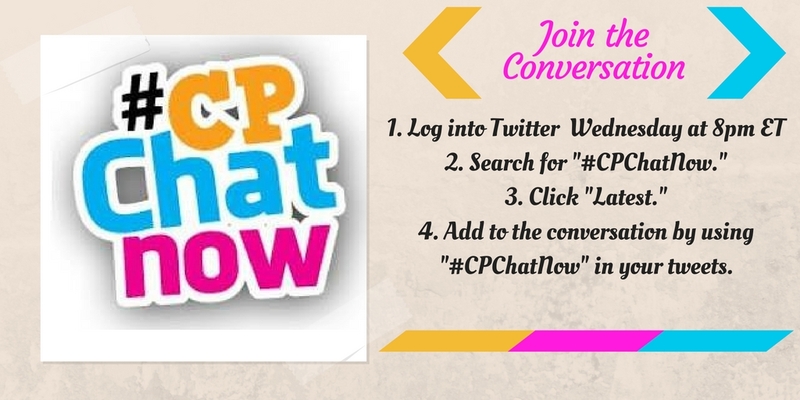 Wednesday, September 28th chat regulars looked to #CPChatNow for a needed escape. 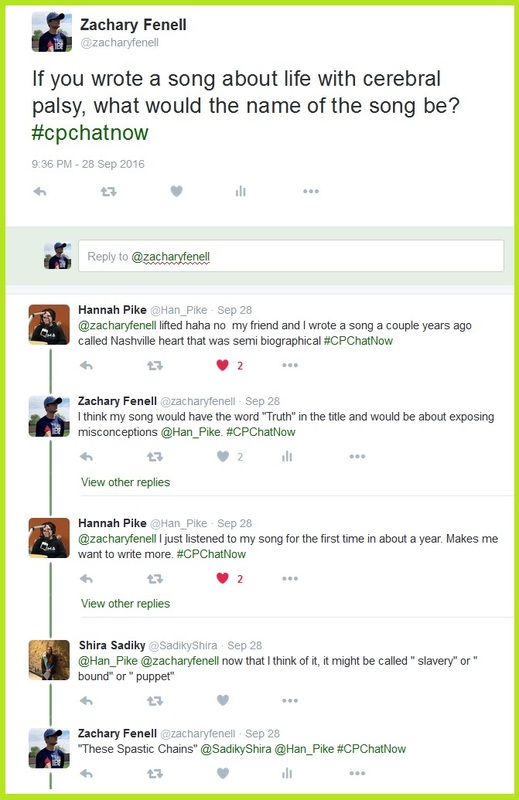 I, co-host Zachary Fenell, among them. 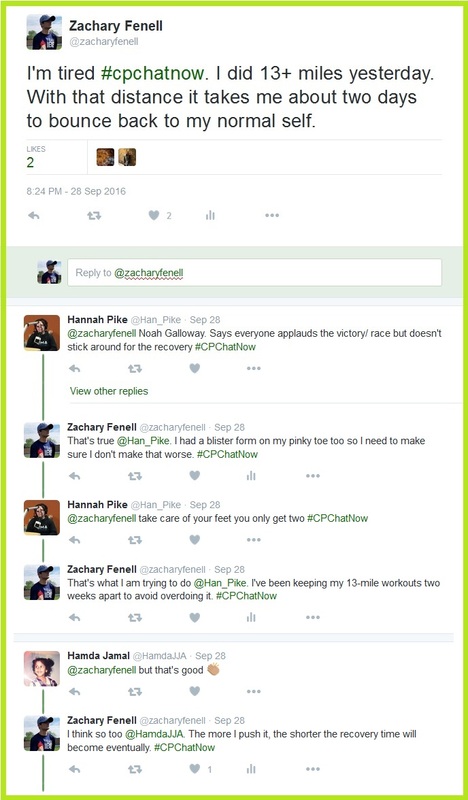 Allow me to fill you in on the details via this week’s recap. Greetings set the tone early. 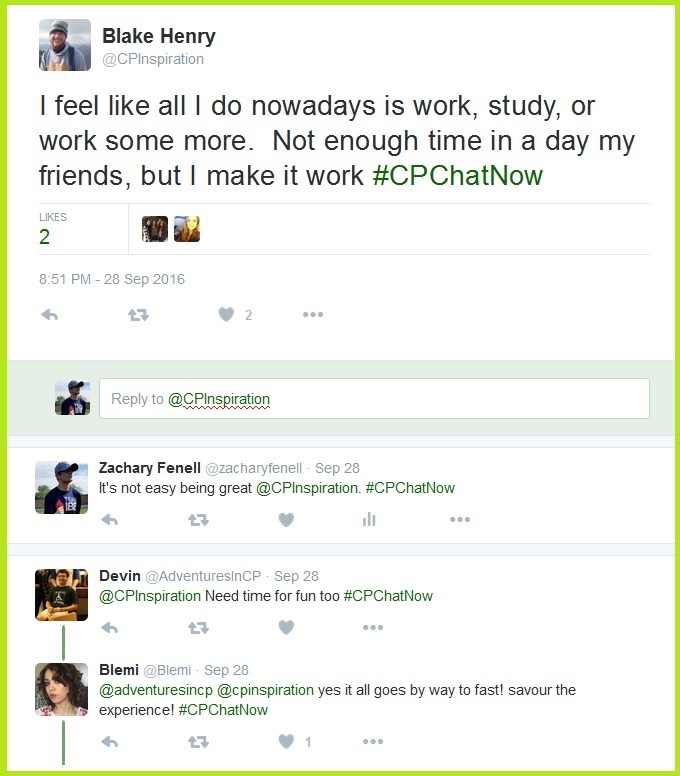 As I noted in the recap’s introduction, I too sought an escape through #CPChatNow. Although rather than a bad day, I desired freedom from fatigue. My co-host Blake Henry also sounded like he could use a break. Various topics emerged to distract from the tough days, tiredness, and never ending responsibilities. Naturally around 8:30pm ET conversation turned to the sitcom Speechless. 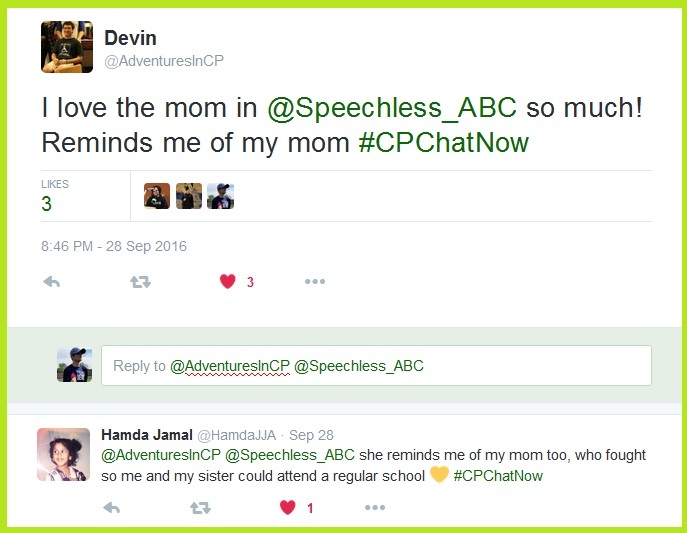 Only two episodes into Speechless and #CPChatNow community members already connect with the characters! One character in-particular seems to resonate more than the others. Given news broke Thursday ABC picked up Speechless for a full season, obviously the love affair with the show transcends #CPChatNow. Make arrangements to watch both the show and participate in our chat. Determine the best plan for you, whether that means multi-tasking or recording Speechless to watch later. 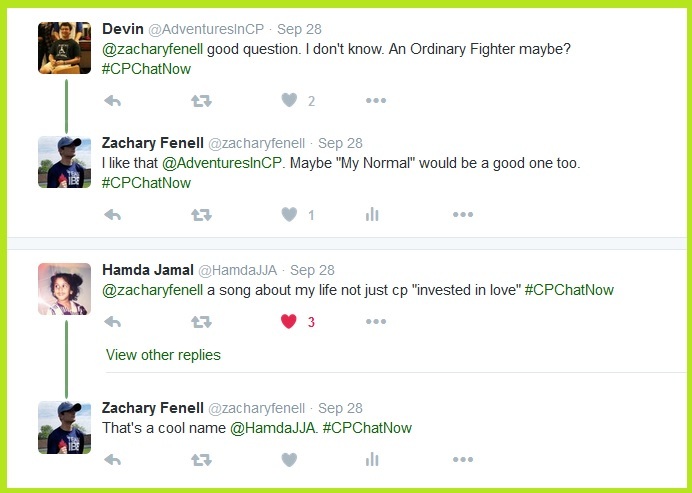 Anyone who relates to the sitcom should enjoy the real life connections #CPChatNow offers. We discuss important issues. 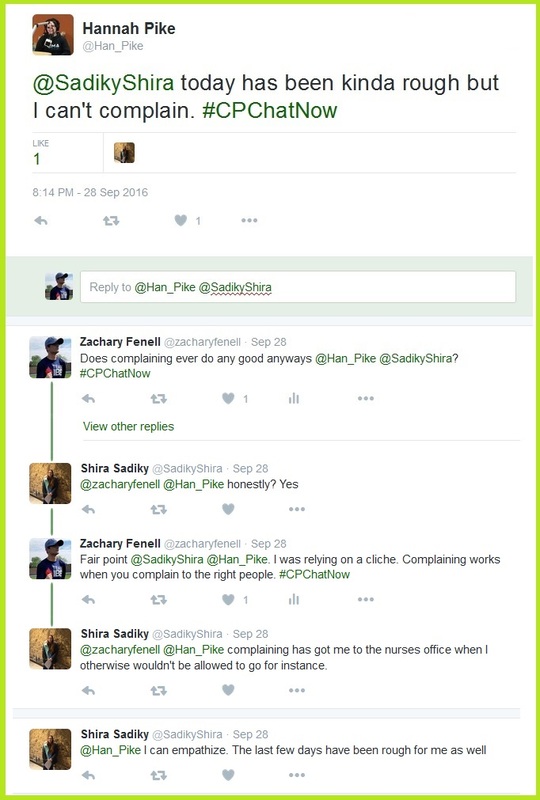 For instance, September 28th discussion eventually transitioned to pharmacy errors. 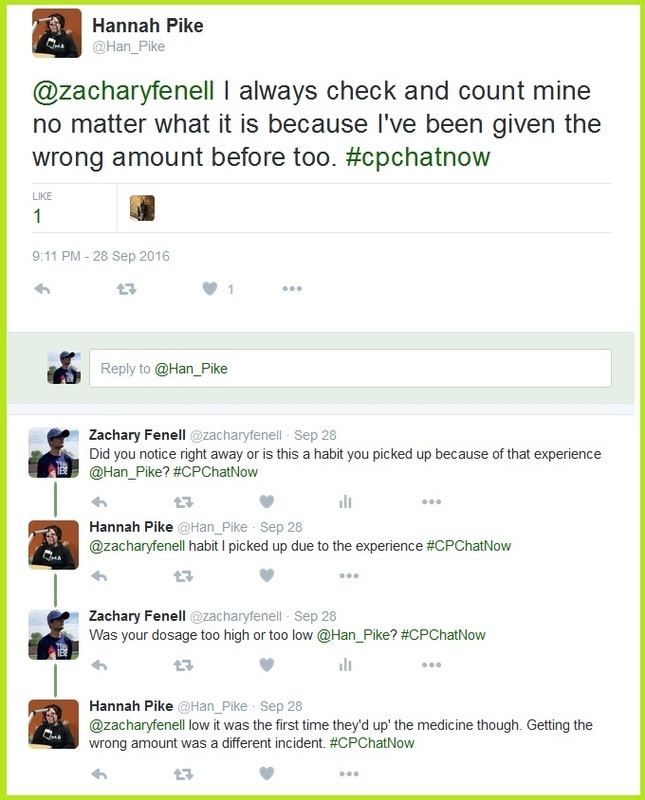 Read the article which led to the subject, “Boy given ten times as much medicine prescribed in pharmacy error.” During the dialogue chat regular Hannah Pike pinpointed another pharmacy error to double check against. Thanks to a fun hypothetical, the chat ended on a creative note. 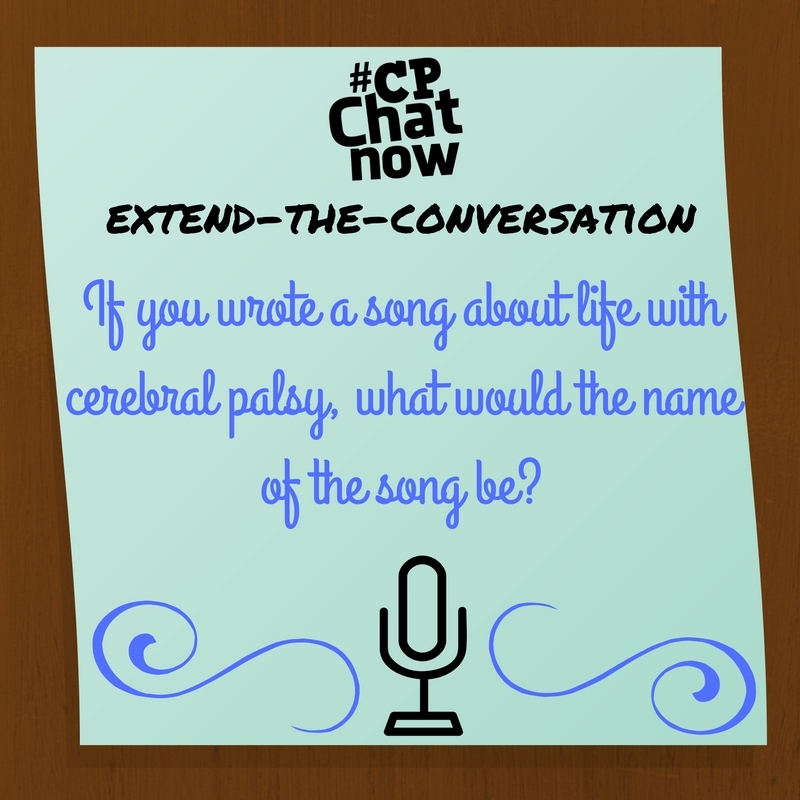 “These Spastic Chains,” “An Ordinary Fighter,” and “Invested in Love” only begins to showcase the creativity possessed by our #CPChatNow community. Show off your originality by answering the week’s extend-the-conversation question. 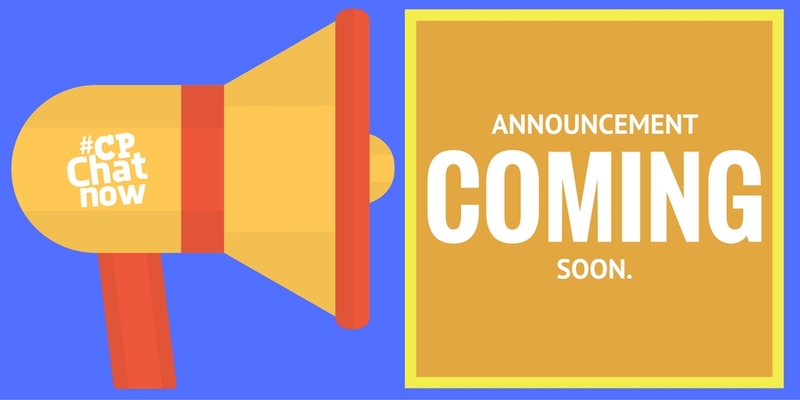 Reply by commenting in the “Comments” section below. I am sure your answer will rock! 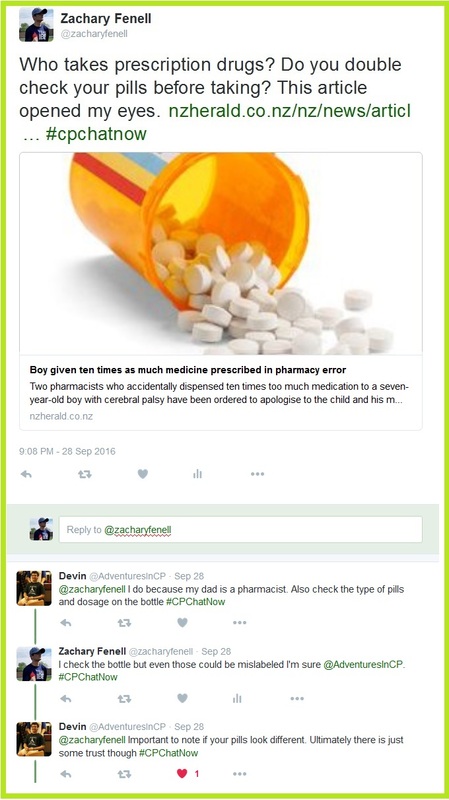 This entry was posted in Weekly Recaps and tagged pharmacy error, speechless. Bookmark the permalink.